This section of the policy offers essential basic protection for you and your business and will indemnify you up £1,000,000 (or higher if required, ie £2m, £5m etc) against claims for damage or injury from a Third Party (i.e. another person) or their property as a result of your negligence for which you are legally liable, such as someone tripping over your hosepipe and breaking their arm. There is no excess in respect of injury, but an excess of £250 applies in respect of damage to third party property. this indemnifies the policyholder against any claims made against you in respect of injury or damage as a result of products you have sold or supplied. As the supplier/retailer of a product, your customer will direct any claim against you, however, the Insurers will generally seek recourse from the manufacturer or retailer/wholesaler that supplied the product to you. This cover is for incidental sales in connection with your business such as selling a shampoo or other item to a customer which causes them harm or causes damage. However, our Platinum option also extends to include Products Liability for the retail online (internet) product sales of valeting/detailing/car care products (excluding any goods for export or use in the United States or Canada). This indemnifies the policyholder against the consequential injury, loss or damage as a result of the servicing or upkeep of a vehicle. An example of this would be not tightening up wheel nuts properly after a “wheels off” detail, where a customer drives off, wheel falls off, car crashes etc. and the policyholder’s legal liability in respect of any resultant damage or injury will be indemnified. Another example would be overspill of tyre shine on brake discs causing the brakes to fail. Our Silver, Gold and Platinum options include this cover. Employers Liability indemnifies the policyholder against any injury or disease suffered by their employees during their course of employment. Again the employer has to be legally liable for the injury or disease, but it is often the case that courts rule in favour of injured party where employees are concerned. Obviously you have a duty under Health and Safety requirements to provide adequate training, protective gear etc to provide a safe working environment for your employees, but a chemical splash to the eye could result in a claim and it will most likely be successful due the employer failing to supply and insist on the wearing of the appropriate protective clothing/goggles. There could be back injuries due to lack of training on lifting procedures, injuries due to improper use of machinery as a result of insufficient training, the list goes on! This is available as an add on to all cover options. All liability policies carry a specific exclusion with regard to defective workmanship, therefore they will not cover damage to a vehicle whilst you are working upon it, such as buffer hop with a polisher and putting dents in a bonnet or burning through paint. However, our Gold & Platinum covers provide an extension which will cover any accidental loss or damage to any customer’s vehicle in the Insured’s custody or control whilst being worked upon up to an indemnity limit of either £50,000 or £100,000. An excess of £500 applies to claims. Selecting this cover provides an added peace of mind should something go wrong and also a reassurance to your customer that you have cover in place should you damage their vehicle. The Swindon branch of Coversure is noted for its speciality within the Commercial Insurance market place, encompassing all classes of business including Motor Trade, Commercial Combined, Contractors, Liability, Vehicle Fleets, Taxis (both individual & Fleets), Shops, Offices and Property Owners. Lloyd Davis, one of the Partners in Coversure Swindon, has been a keen hobby valeter/detailer for a number of years with a growing collection of products, spending most weekends with a wash mitt in his hand cleaning his old Honda. He has a very good knowledge of the valeting & detailing industry and often receives feedback from his customers that it makes a pleasant change to speak to an insurance broker who understands that valeting/detailing is a genuine business carried out by people who are passionate about their work with the core of their business relying on reputation, recommendation and repeat business. We can also arrange Liability policies which include “damage to items worked upon” with exclusive terms from the Insurers, extensive goods in transit cover and much more. Due to the limitations of most Public Liability policies, Lloyd has worked with some of Coversure’s valeting clients to create a bespoke Liability scheme with a leading UK Insurer specifically for the mobile valeting & detailing industry. This scheme is exclusive to Coversure Swindon and not available to any other Broker. We have a number of Motor Trade Road Risks policies available and have an excellent trading relationship with Insurers. Motor Trade insurance is one of Lloyd’s specialist areas and his knowledge and products are not restricted to mobile valeters and detailers, meaning we can also offer advice and cover for people trading from units and valeting bays. 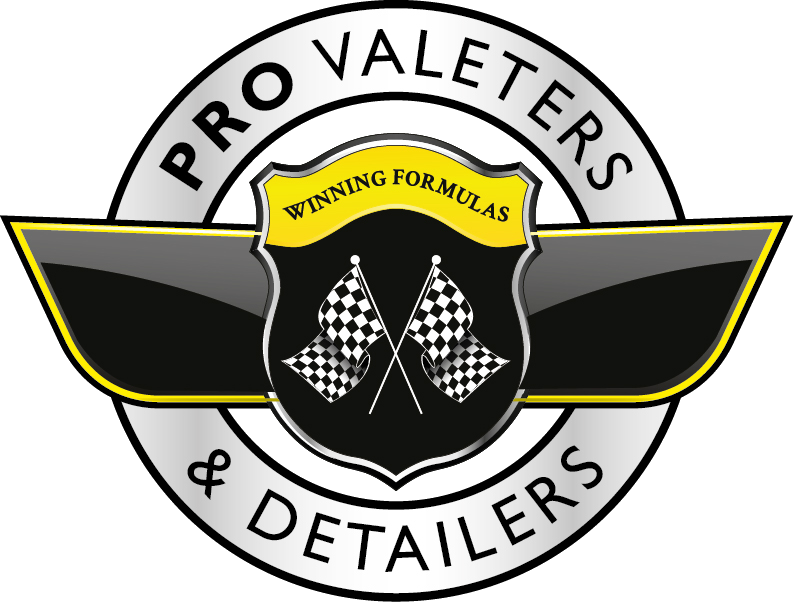 We have earned respect on the UK’s leading valeting detailing forums for our honest, helpful and friendly advice and “treating customer’s fairly” remains fundamental to the culture of our business.